A product of the Rhodesian schooling system, after completing school I joined the Rhodesia Army and served, for 11 years, as an officer in the Signals Corps. I left the Army in 1976 and enrolled at University of Natal, Pietermaritzburg to read for a B.Sc (Agric) degree majoring in Horticultural Science. Having completed our studies, my family and I moved to George where I took up the position as Technical Director of Waboomskraalplase (Edms) Bpk. Four years later I returned to KZN and bought a farm in the Midlands. I farmed and, simultaneously started a production business called “The Pickle Pot” which produced additive free pickles and preserves. In 2004, I had a serious accident with a tractor and spent a month in hospital and many months thereafter recovering. 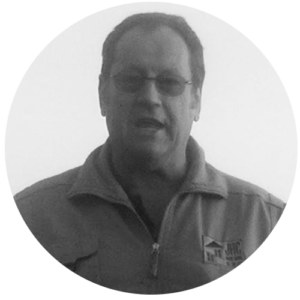 I sold my agricultural business and property and, in 2005, took a job compiling business plans for clients. I am still involved in this type of business. In 2014 I decided that too many of my peers were unhappy in retirement and many were simply dying young. I decided to find some way in which I could reverse this trend. 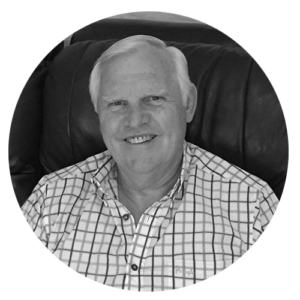 Having been involved in small business since 1976, I needed to find some friend who had spent their working life as part of corporate South Africa. I asked Barry Smith if he was interested and we set out to co-author our first book “The Next Step: Planning the road through Retirement”. The response to the book has been uniformly positive and we are proud to have taken the time to put in together and into the market place. We sincerely hope it will assist and guide many of the people who have reached a “crossroads” in their life and are not certain which fork to take – the book is designed to help and guide them in making the best choice to suit themselves at that time in their lives. In total I was employed by Standard Bank for over 45 years, starting at the bottom and working in several branches mainly in KZN. My last appointment as Branch Manager was at Pinetown Branch. In my last few years before retiring in 2005 I was attached to the regional office in Durban where I served in various capacities including as an Area Manager. Since I retired from Standard Bank I have been very fortunate to be involved in various different activities including producing BBBEE scorecards for customers, undertaking training in 5 different african countries, amongst others. At present I am mentoring a few small business owners. Since I retired from Standard Bank I have been involved in various different positions including; Producing BBBEE score cards for clients; Working for a business consultancy where it was my responsibility to source finance for customers after their business plans had been completed; Guiding an accounting practice through the restructuring of the business; Undertook training in 5 different African Countries; and I was also employed by Standard Bank on a contract basic for over 2 years. At present I am mentoring a few small business owners. When Andrew Blaine approached me to write our book, it has proved to be such a most rewarding experience. We have received such good feedback from people who have purchased the book through which we have been able to meet one of our objectives – to help people plan their lifestyle in retirement. 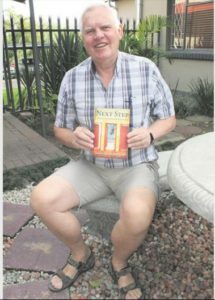 NEWCASTLE – Retirement does not only mean financial planning – it is a lifestyle change, say Durban authors, Andrew Blaine and Barry Smith. While many look forward to a time when they can relax and tick off items on their bucket list, some fear boredom. This has prompted the authors to launch a book entitled The Next Step – The Road Through Retirement, which is aimed at getting the best possible start to retirement by planning ahead. In an exclusive interview with the Newcastle Advertiser, former Newcastillian, Barry Smith relayed the ins and outs of planning for retirement. Based on research tempered by their own experiences, the authors leave the money issues to financial planners, and focus solely on retirement as another phase of life with unique and exciting opportunities. The friends and co-authors began discussing writing the book in 2014, and published it in 2016. Mr Smith has more than 40 years’ experience in the banking industry, while Mr Blaine shares his expertise on entrepreneurial skills. “We put our experiences together in the hope of helping people enjoy their retirement, and having a purpose for life. We stress the choices people have. People I have met after writing the book inform me of their regret of not reading the book before they retired,” said Mr Smith. Finding a hobby is a good way to spend your golden years, said Mr Smith. Sitting around and watching TV is not the way to retire from work, he emphasised. “I suggest one finds a hobby, such as reading or travelling. It does not have to cost you a lot of money to have fun,” said Mr Smith. “People are petrified to go on retirement. But I say; you have worked so hard, you deserve to spend your time wisely and constructively,” he continued. These self-published authors have successfully sold more than 400 copies and are on their fourth print run. According to Mr Smith’s experience, the first few weeks of retirement are compared to a ‘honeymoon’ period. A customised way to ensure you have something to do, is to have a bucket list, advised Mr Smith. Although Mr Smith is well into his retirement, he still is a business consultant and mentors aspiring writers. “Your retirement should be the greatest years of your life,” he concluded.